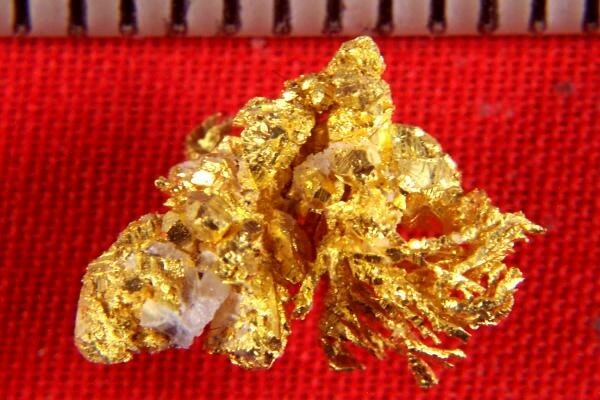 Home :: Gold Nugget Gallery :: Natural Gold Nugget Wires and Crystals - Round Mtn. 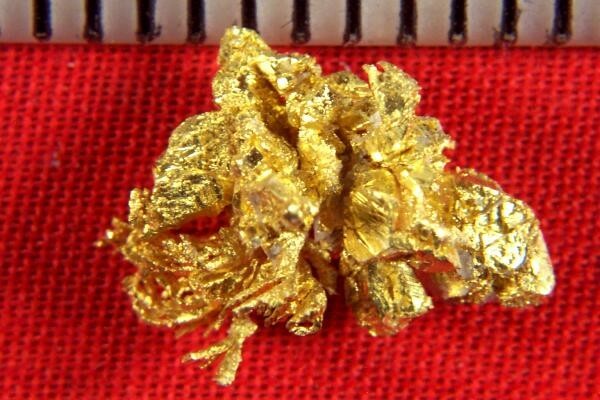 This amazing gold nugget specimen from Round Mountain in Nevada is much more incredible when you see it up close. The photograph doesn't even begin to capture the intricacy of the interlaced gold crystals and wires. This is truly a spectacular crystalline gold nugget. The weight is 29.3 Grains (1.90 Gram) and it comes in a plastic gem jar for protection and display.